Turkey’s Foreign Minister Mevlüt Çavuşoğlu warned Secretary of State nominee Mike Pompeo in remarks Wednesday that any new top diplomat in America must learn “how to behave” before addressing Ankara, claiming Turkey “would like to work with” anyone nominated to the post. The Turkish government has become increasingly anti-American under President Recep Tayyip Erdogan’s Islamist rule, most recently exacerbating tensions by invading northern Syria and attacking the Syrian Kurdish People’s Protection Units (YPG/YPJ), one of America’s closest allies against the Islamic State in the region. Çavuşoğlu, who was in Moscow, told reporters that “bilateral respect” was necessary for Turkey to be able to work with Pompeo. The Turkish foreign minister noted that Ankara and Washington had scheduled a meeting to negotiate an agreement on Afrin, Syrian Kurdistan, for March 19, suggesting that this may be postponed to allow for a full transition at the State Department. 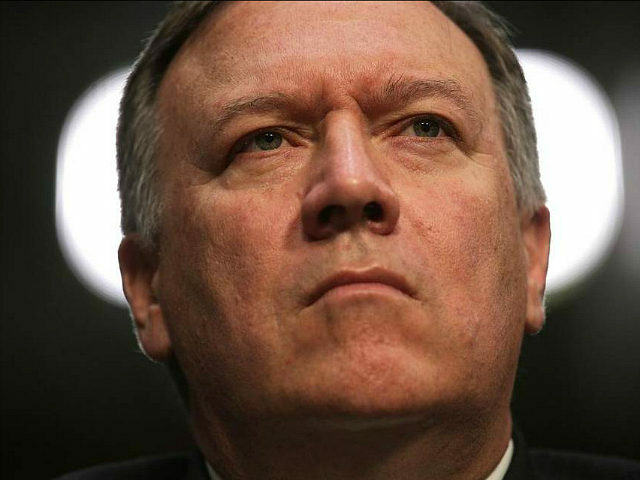 The remarks in question occurred on Twitter, long before Pompeo was nominated to run the CIA. In response to the Iranian government’s expression of support for Erdogan following a failed coup against him in July 2016, Pompeo tweeted, “@JZarif & #Iran govt about as democratic as that of @RT_Erdogan — both are totalitarian Islamist dictatorships.” Turkish observers note that Pompeo deleted the tweet before taking on the role of head of the CIA. Pompeo is, nonetheless, no stranger to Turkey. He made his first overseas trip as CIA director to Ankara a year ago, meeting with intelligence and military chiefs in the country to discuss bilateral relations and cooperation in Syria with the Turkish government. During the meeting, Yıldırım made the now familiar demand that the United States hand over Fethullah Gulen, a Turkish Islamic cleric who runs a global network of charter schools. Gulen, Erdogan’s most loathed rival, lives in self-imposed exile in Pennsylvania. The Turkish government blames Gulen for the failed coup against Erdogan and refers to Hizmet, the cleric’s religious network, as a terrorist organization. The Trump administration has refused to hand over Gulen, even as Erdogan took a U.S. citizen hostage to trade for him. The Turkish government arrested Pastor Andrew Brunson, a Christian who had served in Turkey for decades, on charges of supporting the Islamic Gulenist movement and the Marxist Kurdistan Workers’ Party (PKK) terrorist group. Brunson and his family deny any ties to either group. Turkish prosecutors announced this week they will seek a life sentence for Brunson on these charges, despite the scant evidence against him. “We have given you all the documents necessary [for the extradition of Gülen]. But they say, ‘give us the pastor.’ You have another pastor in your hands. Give us that pastor and we will do what we can in the judiciary to give you this one,” Erdogan remarked in September.